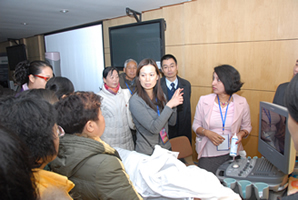 The 2009 Advanced Breast Cancer Diagnosis Course was held in Tianjin, China on September 21-23. 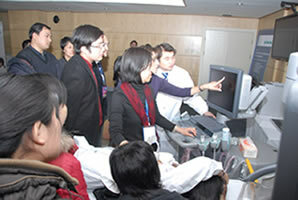 Upward 20 Chinese and foreign experts on breast diseases diagnosis provided nearly 20 excellent lectures about mammography, breast ultrasound and pathology for the 200 clinical doctors from 30 cities or provinces of China. The course also involved demonstration training. The Siemens Cor. Ltd provided one mammography machine and three ultrasound machines for the trainees to enhance the clinical skills. In this way, the delegates reinforce the impression of the related lectures. This training course aimed at serving for the doctors involved in the “Breast Cancer Screening Project”. In 2008, in cooperation with the Chinese Bureau for Disease Control and Prevention of Ministry of Health, the CACA conducted this project that focusing on the female residents in 30 provinces or cities and 53 counties or districts. The necessary expenditure (19.38 million Yuan / 2.84 million US Dollars) was provided by the special fund that was offered by the central government budget for the local health projects. The CACA undertook the tasks of technology guidance and the conduct of the project. In reference to the situation in China and the biological features of Chinese female, the CACA made a series of screening plans that included the breast clinical examination, mammography, and breast ultrasonography for female between 35 to 69 years old. By May 2009, 466,871 individuals received free examination, among which 3,823 were diagnosed as benign breast tumor patients, 287 breast cancer patients and 22,758 breast lesions. 98% of them received effective treatment in time. 40.16% cases of breast cancer diagnosed through this program is at stage I. The figure is 23.06% higher than that in the non-screening ways. This result was satisfactory. The same amount of money will be used in this program in 2009 so that more women will benefit from it. 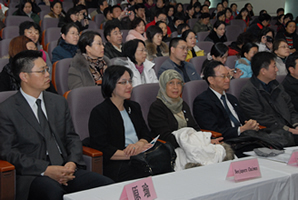 In June 2009, cooperating with the Chinese Bureau for Disease Control and Prevention of Ministry of Health, the CACA developed breast cancer pilots in urban area (31 provinces and cities, 200 pilot) by the special fund that was offered by the central government budget for the local health projects. The work will last 3 years. 400,000 women per year will receive breast health examination. The CACA also acts as the technology director. There will be medical consultation and health education during the project to reinforce the health awareness and increase the rate of early treatment and detection of breast cancer of target females. The CACA has held training courses in three degrees on clinical breast and ultrasonography for the doctors from 200 pilot organizations, which improved the inspective technology and build solid foundation for the project. The 2009 Advanced Breast Cancer Diagnosis Course was another formal training program for the clinical workers of breast cancer screening sites and organizations. 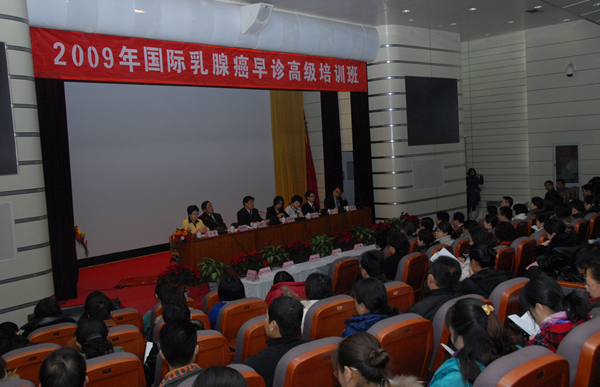 The 2009 Advanced Breast Cancer Diagnosis Course was jointly organized by the Chinese Anti-Cancer Association (CACA) and the American Cancer Society (ACS), hosted by the Tianjin Medical University Cancer Institute & Hospital and sponsored by the Siemens Co. Ltd. The government of China and Tianjin paid close attention to this course. Ms. Kong Lingzhi, the Deputy-Director of the Chinese Bureau for Disease Control and Prevention of Ministry of Health and Mr. Zhang Xianghong, Deputy-Director of the Tianjin Bureau of Public Health delivered important speeches on the opening ceremony. Prof. Hao Xishan, President of the CACA, June Chan, the Representative of the ACS and the leadership of Siemens also attened the ceremony.